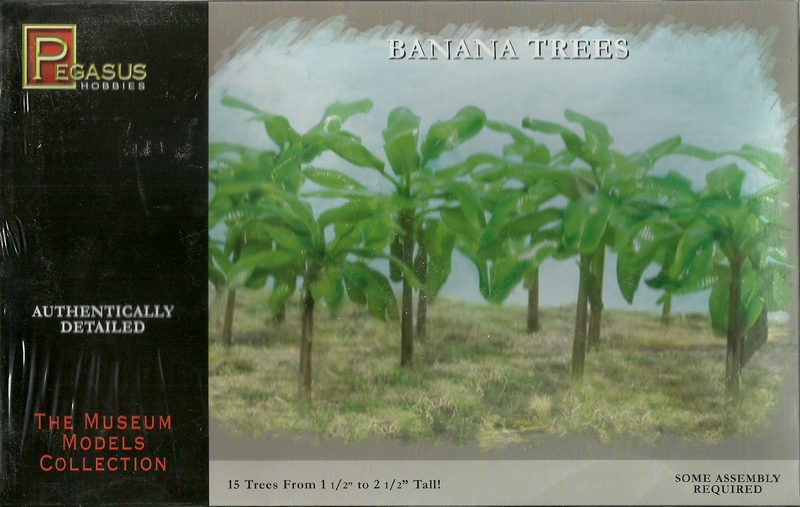 The kit comprises 90 parts to make 15 banana trees moulded in green plastic. The trees vary in height from 1.5" to 2.5" tall (approx 38mm to 57mm in height) to provide a nice collection of jungle or tropical foliage. This kit is a superb addition for the wargamer or diorama modeller with superb attention to detail. Would also be suitable for other scales.